Congratulations to Stage One for Advancing to the State Finals! 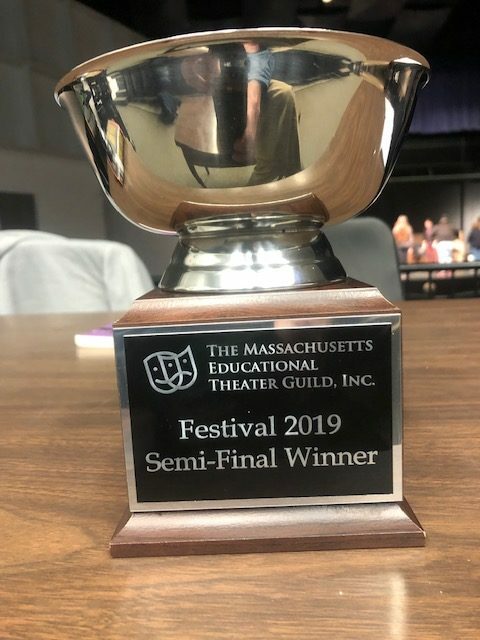 Peabody won four All-Star Awards: Matteo Viera, Alex Serino, (For Acting) Gabe Goldman (for Dramaturgy), and Chrysanthie Gazios and Caroline Castro (For Stage Management). Richard and Stage One will be taking “Red Speedo” to Boston at the John Hancock Hall on Thursday, March 28 at 7:00pm.